We’ve played it pretty safe so far in this city. No street meat, death-defying cab rides or straying too far off the beaten path. 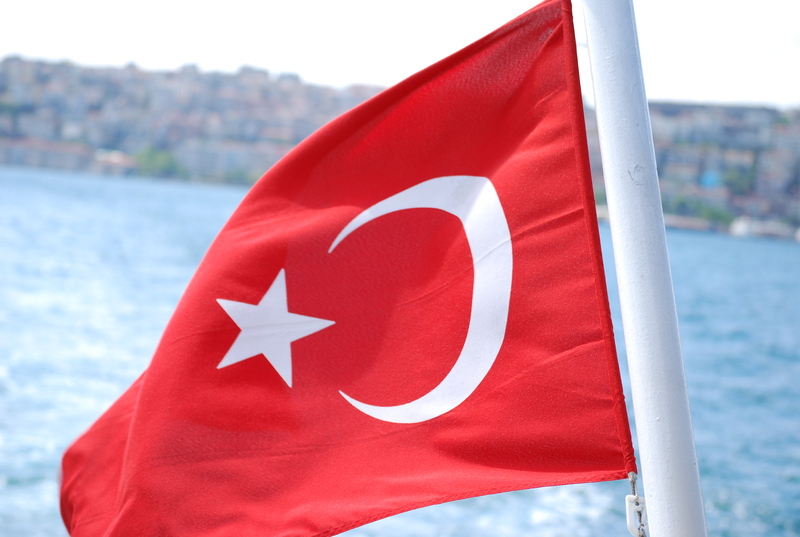 Today, our last in Turkey, was about pushing the envelope — albeit to a certain extent. 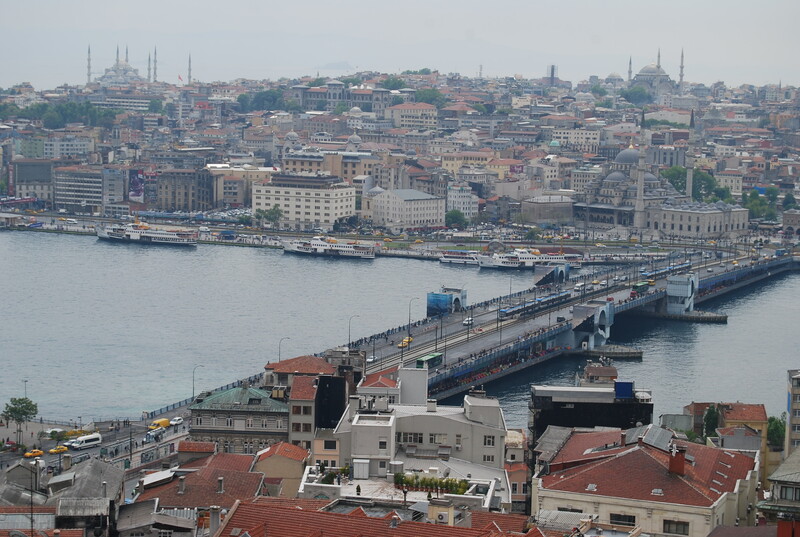 Fueled by another delicious breakfast at the hotel, we walked across the Galata Bridge to Beyoglu (old Pera), or the “new” European neighborhood of Istanbul. 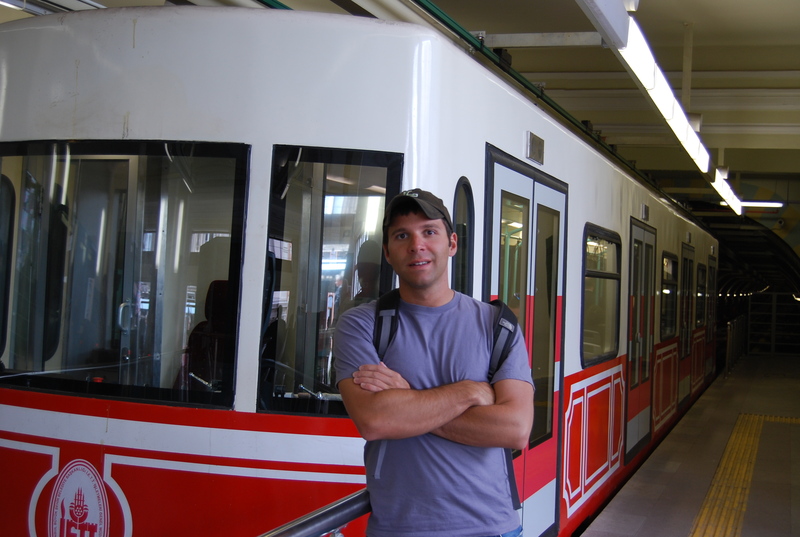 Once there, we boarded the Tunel, an underground railway built by the French in 1875. It’s said to be the oldest underground railway in Europe — thankfully, with only a 90-second, 1 stop ride, it’s also one of the shortest. 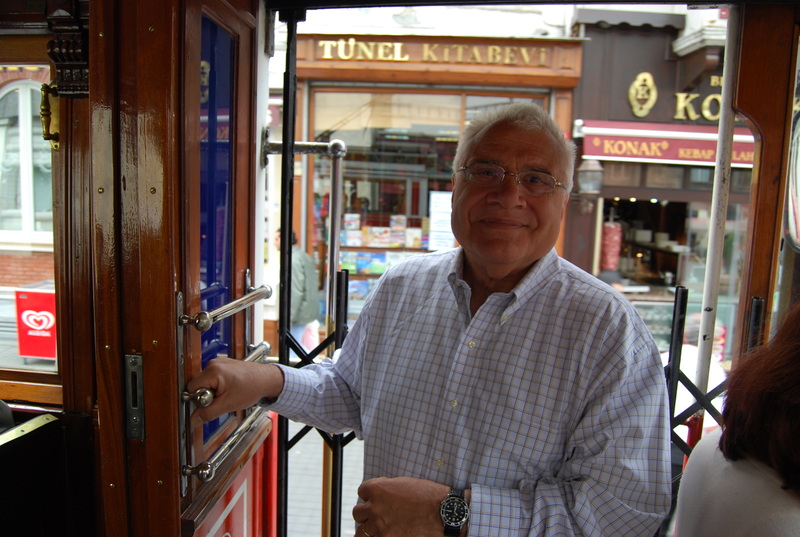 Having safely arrived at our destination, we hopped on an antique tram that runs from the Tunel station up to Taksim Square. It was like being in San Francisco, only we were in Istanbul. 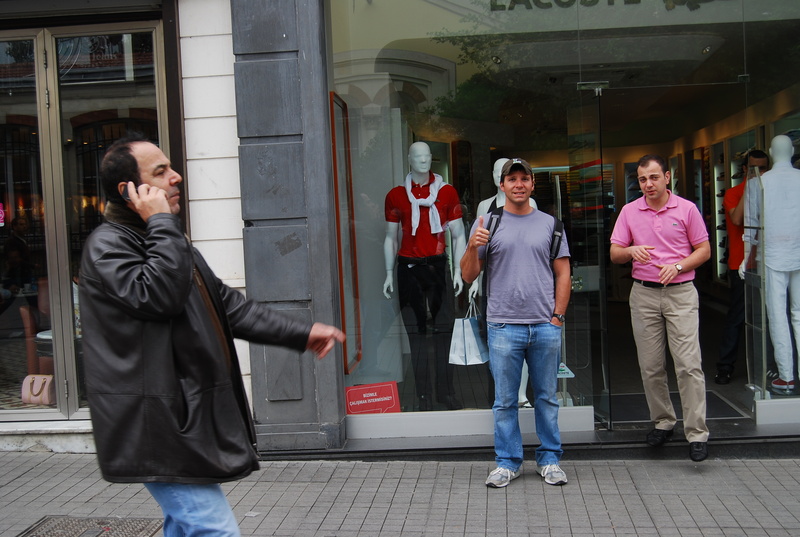 Walking down fashionable Istiklal Cadessi, with its swanky shops, was our next major risk. After buying a super-trendy European jumper at Puma and a new hat at Nike, we ran into Lacoste. Luckily, this pink-shirt wearing employee chased me away while taking a picture outside — preventing any potential purchases. 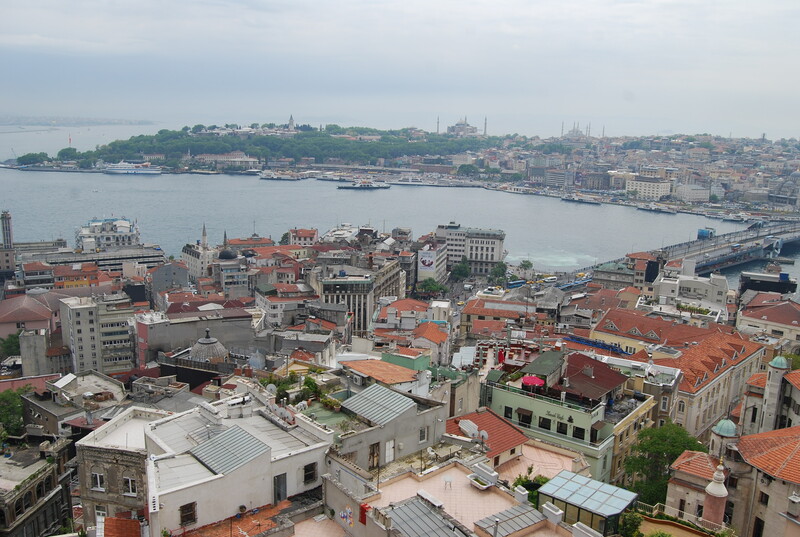 We finally reached Galata Tower, one of the oldest towers in the world, built in 1348. It stands 66.9 meters tall and has been rebuilt several times, due to earthquakes. We gulped and boarded the elevator. The tower’s lookout offered some great views of many of the sights we’ve visited in the last 48 hours, including the Blue Mosque, Topkapi Palace and Aya Sofya. 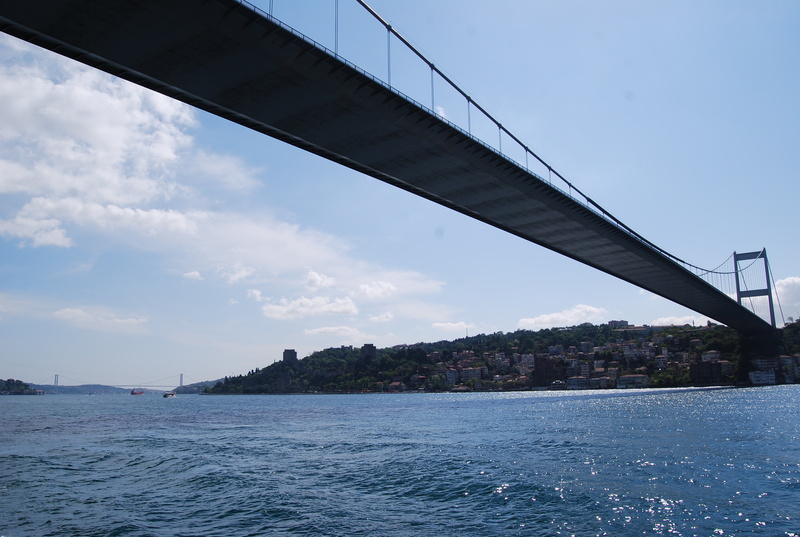 We crossed back over the Galata Bridge and were struck by the smell of grilled fish. 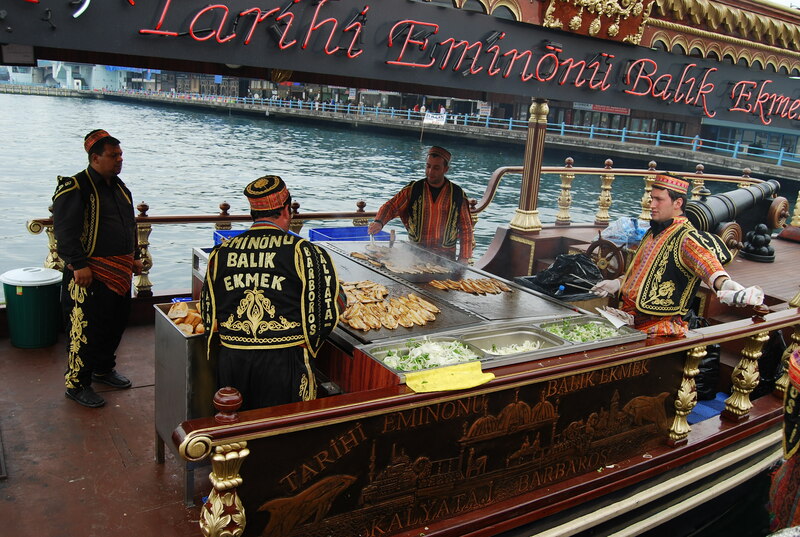 Following our noses, we found three boats making what looked like delicious sandwiches. They were $3. We crossed our fingers and took the plunge. After turning down a haircut in Croatia (can you blame me? ), it was time for a much-needed trim. 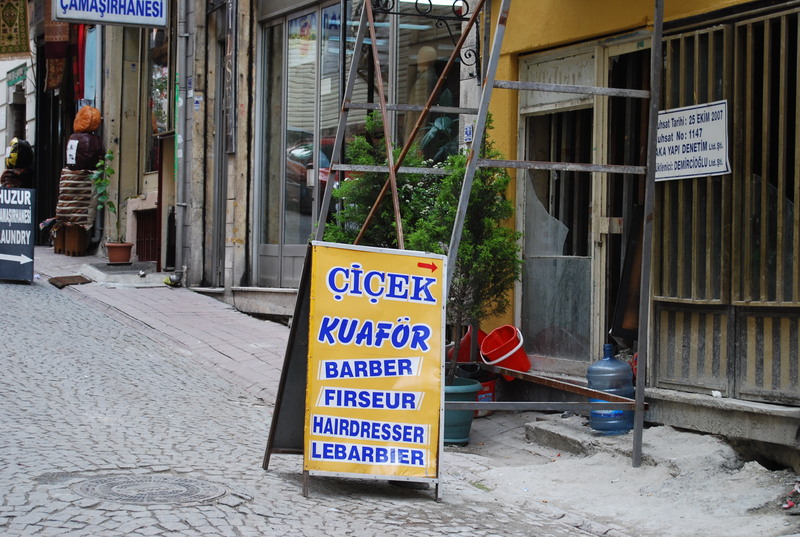 We passed this sign for a barber, and since today was all about risks, turned into Cicek Kuafor. My “hairdresser” was a young kid, probably around 18 or 19, and spoke about three words of English. With hand gestures, and repeating “not too short,” he nodded and got to work. About 30 minutes later, he was done. And, he did a damn good job! Frankie at Central Barber Shop in Rye better watch out. 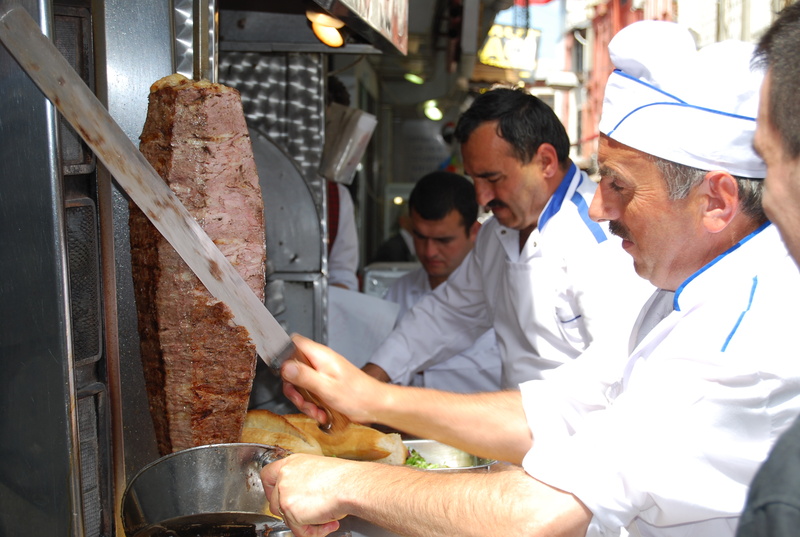 He’s got some serious competition in Istanbul! 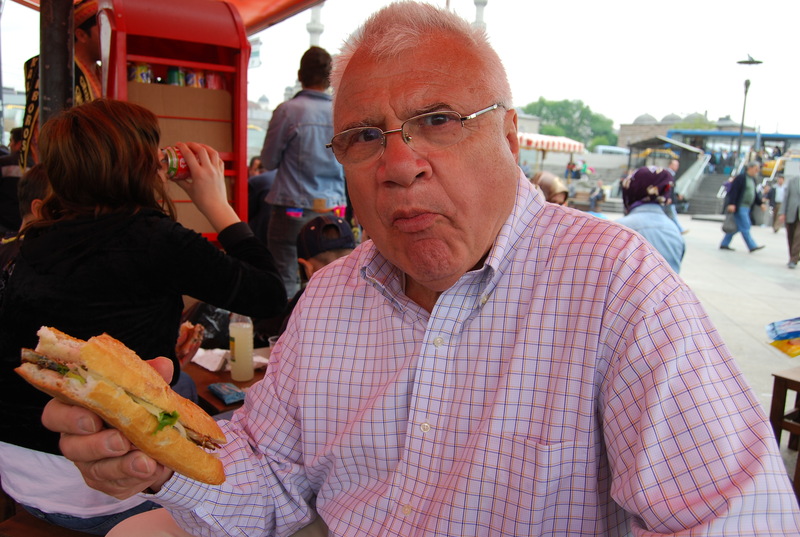 Tonight, I’ve convinced my Dad to join me at Cemberlitas, a historic Turkish bath built in 1584. It’s the oldest in Istanbul and was designed by the architect, Sinan, who was also responsible for the Suleymaniye Camii that we visited on our first day. After my experience in Morocco, I’m feeling particularly confident in knowing how this will all work — but considering the risky day, who knows how it’ll turn out. We leave for Mykonos, our first destination in the Greek Isles, tomorrow morning. 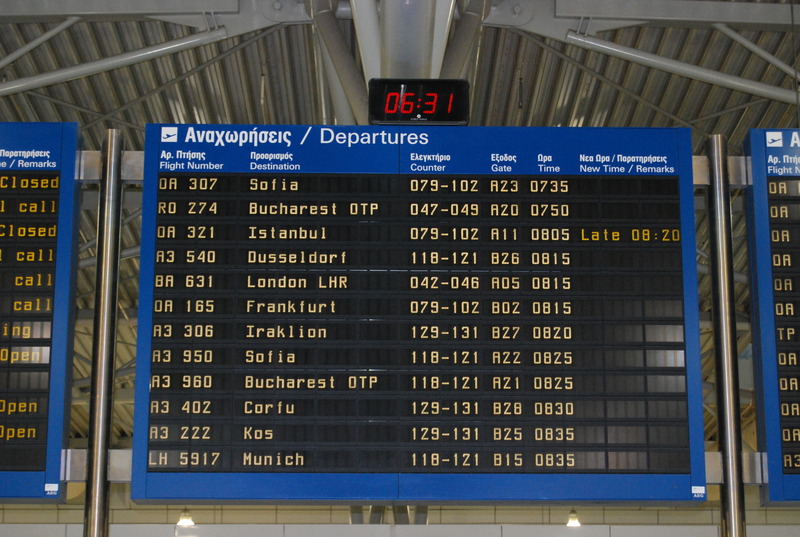 We were at the airport in Athens at 6 a.m. this morning for Olympic Airlines flight 321. This was my seventh flight (of 22 total) on my trip around the world, so the motion of checking in, finding the gate and going through security is becoming pretty routine. After a short delay, we departed Greece for the 55-minute flight to Istanbul — a full meal was served on board (no cost-cutting in Europe). Our wheels were down just shy of 9:30 a.m. local time here. Istanbul is a city of about 20 million, and it’s possible that every citizen was on the road while our taxi was driving us to the hotel. The wait was well worth it though — we’re staying at the Sirkeci Konak, by far the nicest accommodation I’ve had (and probably will have) on this trip. Its location on the historic peninsula places us within walking distance of all the major sights, the rooms are impeccable and the staff is welcoming and helpful. 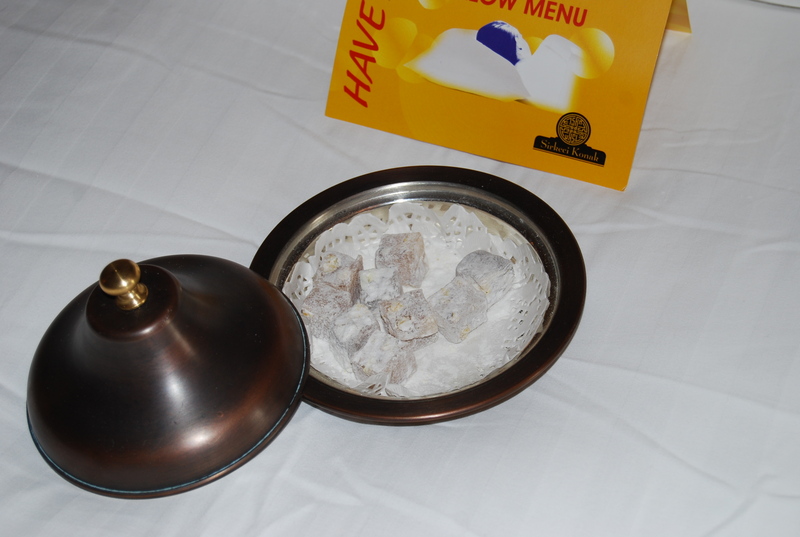 I’d venture to say that this hotel is one of the best in the country — and not just before they left us a plate of Turkish delight on our bed (right next to the pillow menu). 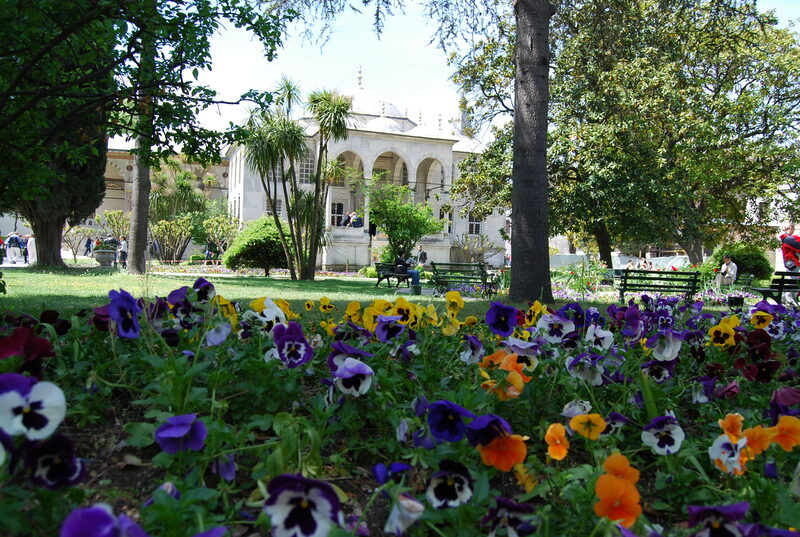 We weren’t at the hotel for long, as we had planned a jam-packed first day of exploring Sultanahmet, an area concentrated with some of this city’s most fantastic sights. 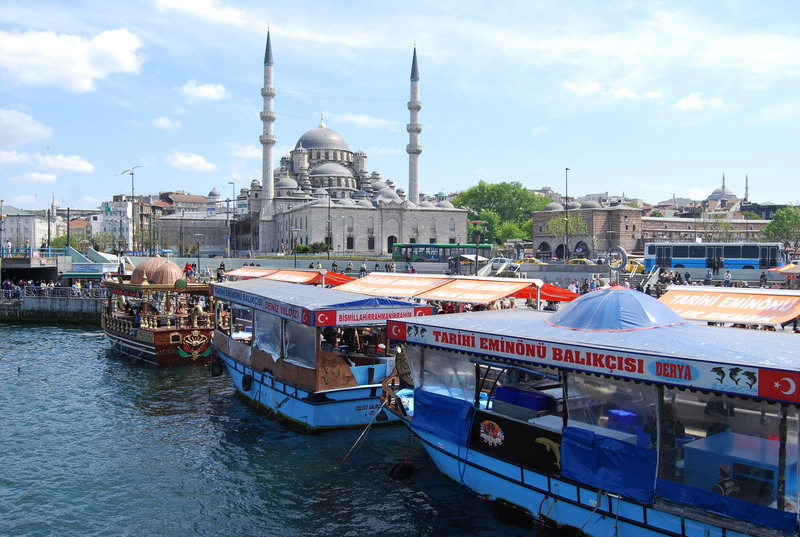 We started at the Blue Mosque, a tremendous mosque built by Sultan Ahmet I, who ruled between 1603 – 17 A.D. His goal was to rival (or even surpass) the size and beauty of the nearby Aya Sofya — and he may very well have succeeded. 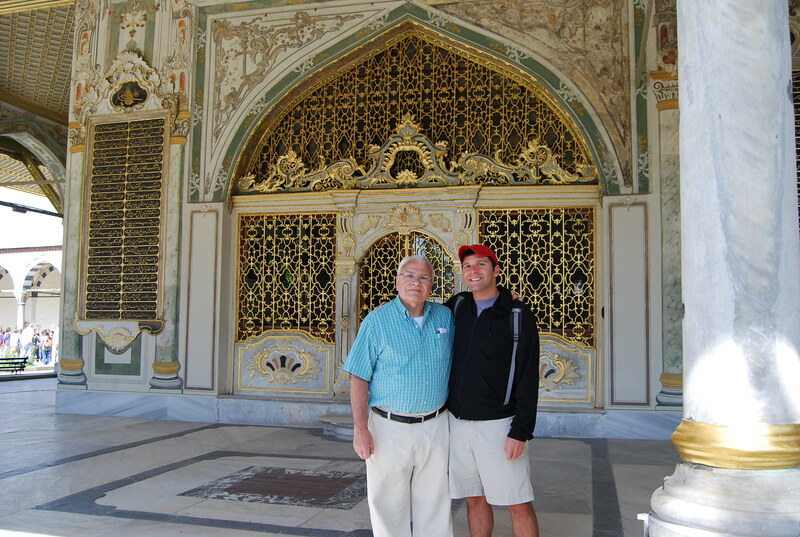 Pictures don’t do the immensity of this mosque justice. 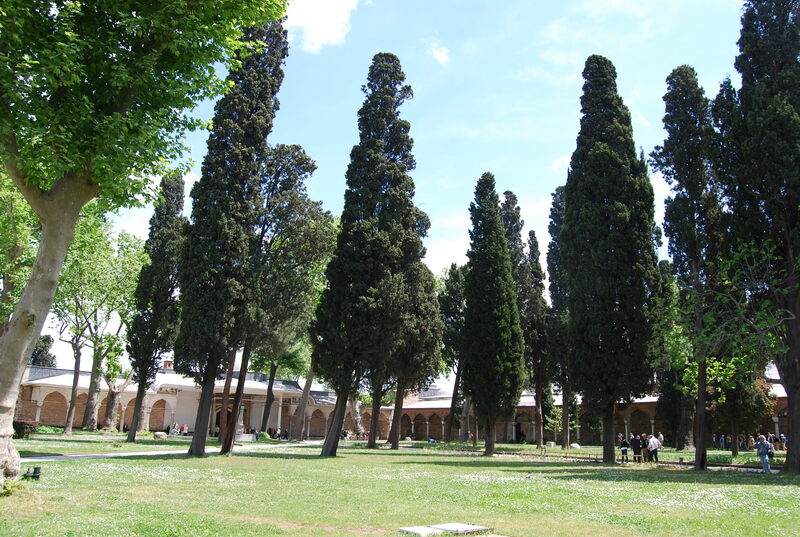 Across a small park stands the majestic Aya Sofya, this city’s most famous landmark. 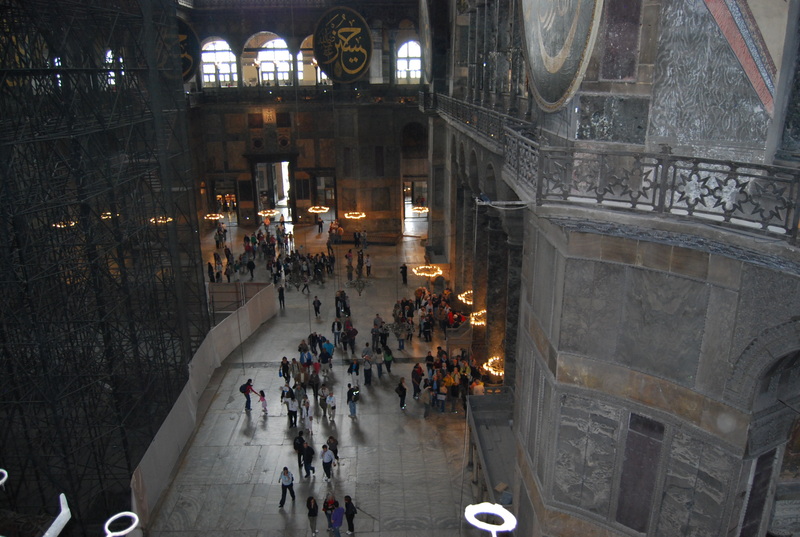 It was built by Emperor Justinian, who ruled between 527 – 65 AD, and has served as both a mosque and a church. Upon entering the completed structure for the first time, Justinian is said to have exclaimed: “Glory to God that I have been judged worthy of such a work. Oh Solomon! 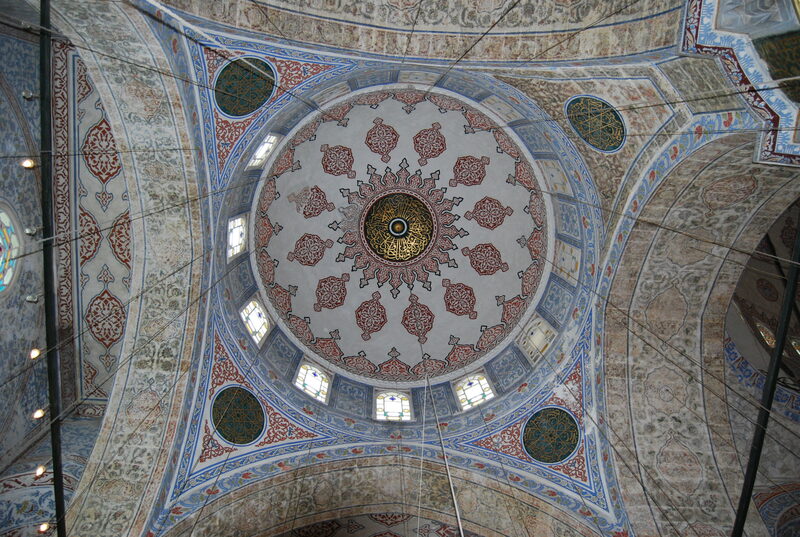 I have outdone you!” Stepping inside the soaring interior, with its dome measuring 30 meters in diameter, is awe-inspiring — it’s as impressive now as it was then. 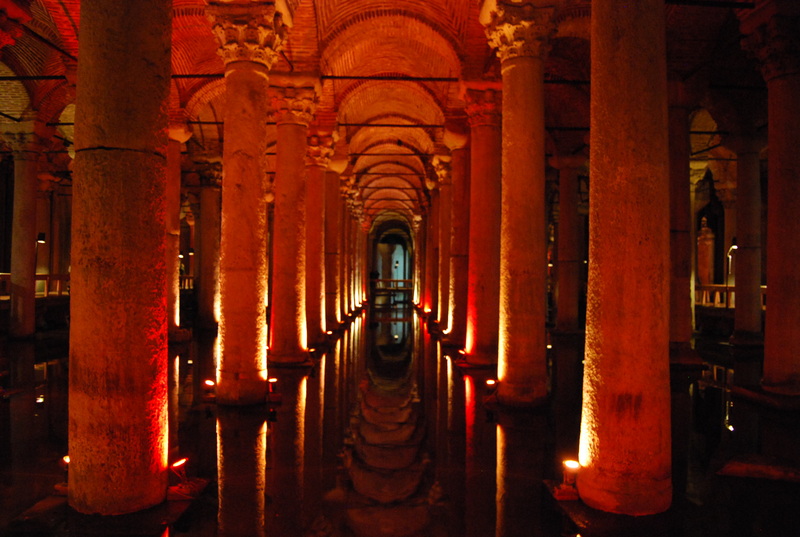 Afterwards, we visited the Basilica Cistern — the largest surviving Byzantine cistern in Istanbul — that was also built by Justinian in 532 A.D. This was a subterranean structure meant to bring water 20 km to the city via aqueducts from a reservoir near the Black Sea. It’s an immense place, as it once held 80,000 cubic meters of water. You can still see fish swimming around in several feet of water in the cistern today. 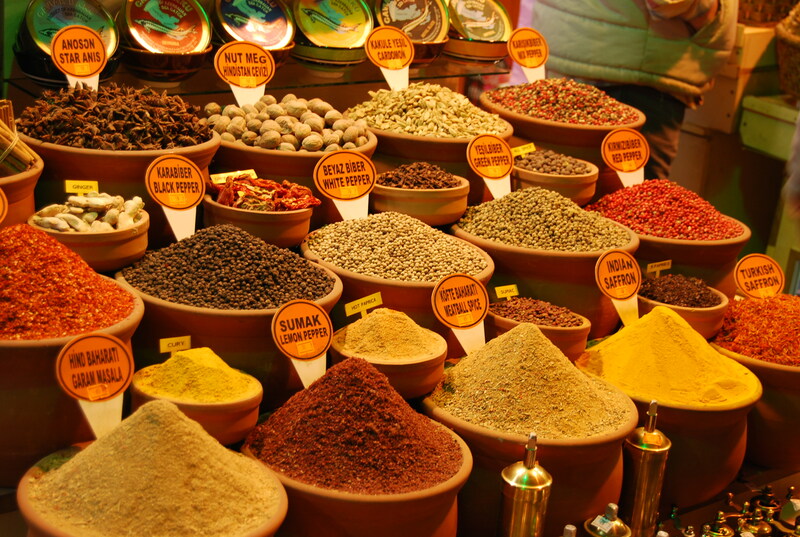 Istanbul’s Grand Bazaar has about 4,000 shops and several kilometers of covered streets. We took a couple hours to walk through, checking out the gold, the copper, the art and, of course, the tourist schwag. After some serious haggling (perfected in Morocco), a hand-painted gold-leaf print was in my bag. On our way back, we stopped at Suleymaniye Camii, a mosque commissioned by Suleyman I, the greatest, richest and most powerful of Ottoman sultans. 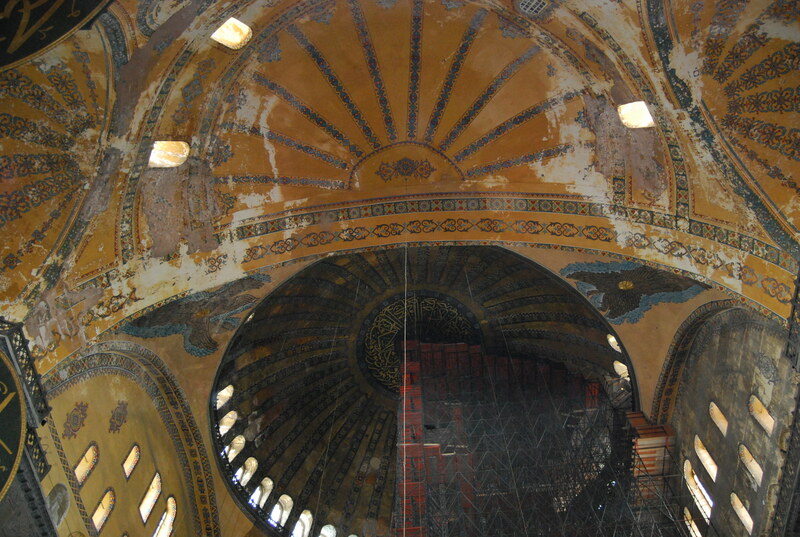 Unfortunately, much of it was under renovation, so we turned back, grabbed two pieces of baklava and walked to the Hippodrome. 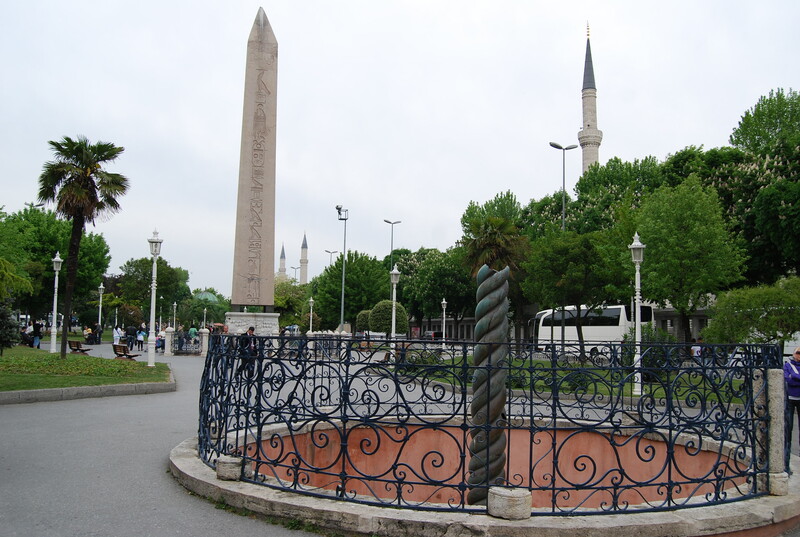 This centrally-located area is home to the granite Obelisk of Theodosius — a Washington Monument look-alike that was carved in Egypt around 1450 B.C. 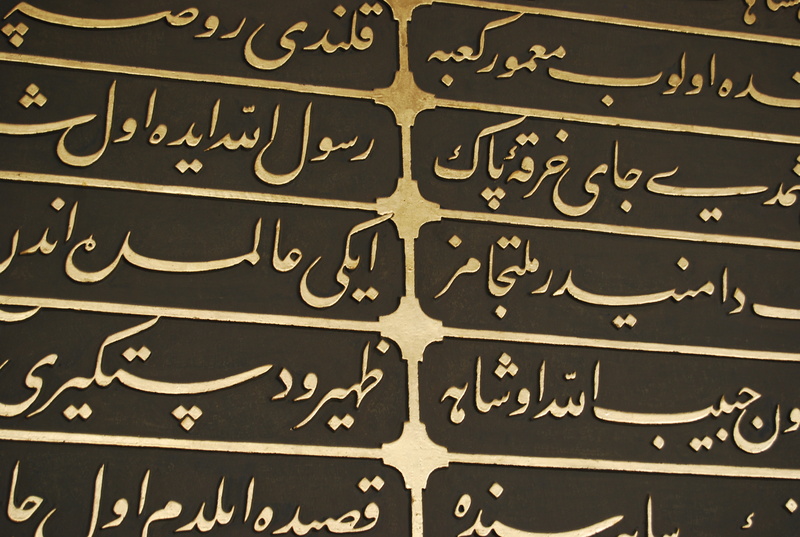 As the minarets called to prayer, we headed back to the hotel to relax in the sauna, Turkish bath and cool dip pool. Exhausted from the day, we had a tasty dinner here and headed back upstairs for some much needed rest. Tomorrow is another big one.